Our Pumpkin Spice Mix is easy to make and so delicious you’ll never buy store-bought mix again! We use a secret ingredient to make it truly special. Fall is in full throttle and we’ve been seeing all kinds of pumpkin spice deliciousness going on. We have lots of pumpkin spice recipes to share with you and we just can’t hold out any longer. Our homemade mix can be used to make a ton of different things, from lattes, to cakes, to puddings, and even to add complexity to savory recipes, like cozy, warming soups and casseroles. Don’t be scared to think outside the box (or outside the latte!) 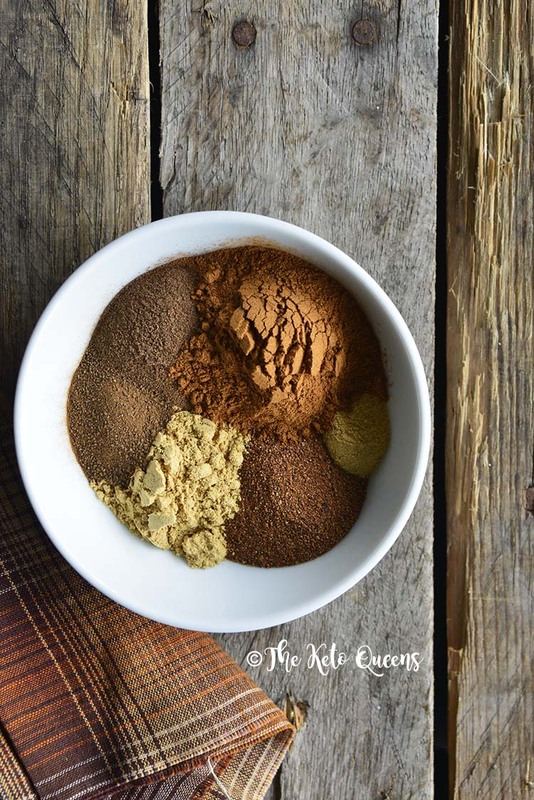 when it comes to using pumpkin spice mix! You’ll be surprised at how easy pumpkin spice mix is to make at home! Not only that, but you can customize it to suit your tastes; for example, if you don’t like cloves you can skip them or if you like an intense cinnamon flavor add a bit more. You can also control the quality of spices that go into your mix (look for organic if possible). Additionally, you can grind your spices to make sure they’re super fresh. 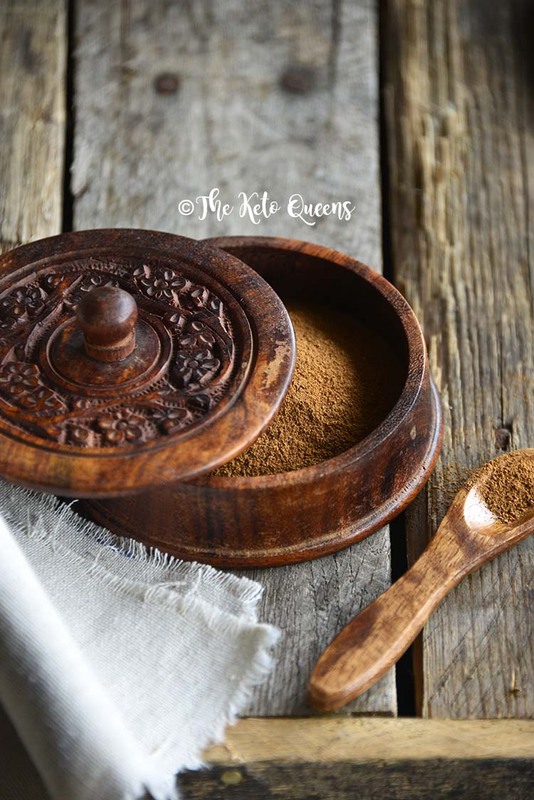 If you’re looking for a classic pumpkin pie spice mix, go for cinnamon, nutmeg, allspice, ginger, and cloves. And if you’re feeling just a bit adventurous and want to add just a hint of surprise, add the fenugreek. We use fenugreek here to add a complex caramel-y depth of flavor with hints of maple (yup, really). Fenugreek has been one of our favorite keto tricks to keep on hand for years now (Faith used it to give cheesecake mousse a maple flavor on her dessert blog Healthy Sweet Eats), and we’re excited to share it with you! Pumpkin spice mix literally couldn’t be easier to make; basically, all you have to do is mix together all the ground spices. Of course for the freshest, most intense next-level flavor we recommend grinding your own spices, but this isn’t necessary. If you don’t have pumpkin pie spice (also called pumpkin spice) or all the different spices that go into it, use all of the components you have. At least be sure to include cinnamon and nutmeg! 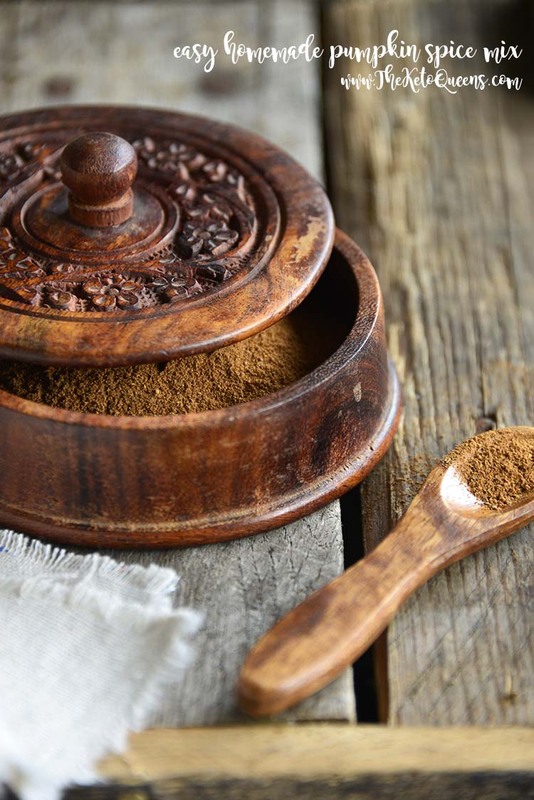 Can I Substitute Allspice for Pumpkin Pie Spice? Although a lot of people think allspice is a blend of spices, it’s actually its own thing. Allspice is a fruit (specifically, a berry) that actually looks like large peppercorns. It has a flavor and aroma profile similar to a mix of warming spices, including cinnamon, nutmeg, cloves, and black pepper. Is Apple Pie Spice the Same as Pumpkin Pie Spice? 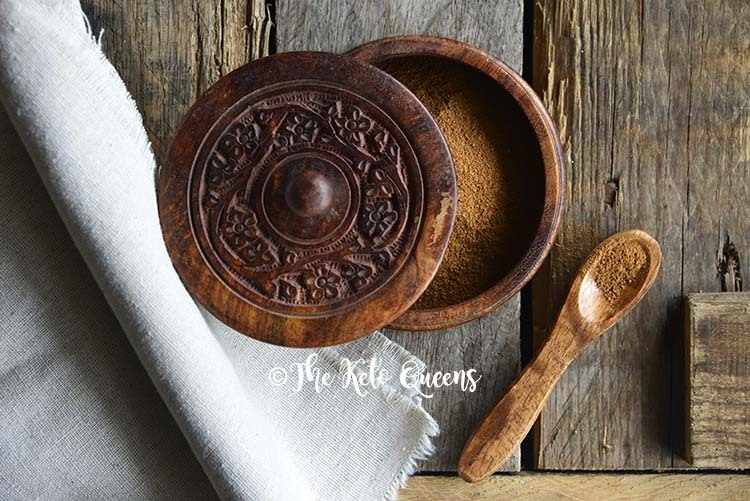 Apple pie spice and pumpkin pie spice are very similar; both mixes usually contain cinnamon, nutmeg, and allspice. 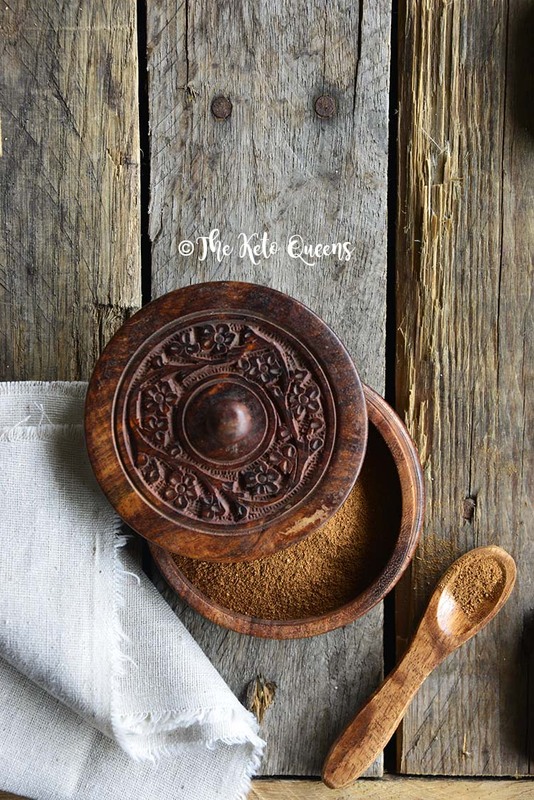 Additionally, apple pie spice sometimes contains cardamom, while pumpkin pie spice often has ginger and cloves added. For a unique twist, we add a hint of fenugreek to our pumpkin spice mix, which adds lovely complex notes of caramel and maple (but no worries, you can omit it if you can’t find it!). Our Pumpkin Spice Mix is easy to make and so delicious you’ll never buy store-bought mix again! Wisk together all spices in a bowl. Store in a lidded glass jar at room temperature for up to 3 months. Disclosure: This post contains affiliate links to products we believe in, which means that even though it doesn’t cost you anything extra, The Keto Queens will receive a small amount of money from the sale of these items.